Independent contractor, 1099 worker, gig worker, freelancer, short-term employee… all terms for those of us who don’t work the traditional nine-to-five job. Our numbers are growing. And so are the co-working spaces we use to accomplish our work. Sure, the freelance employee can work from home in fuzzy slippers and an old T-shirt, but that’s so 2001. And working from a coffee shop? That’s only good until the noise of the customers rises above the din of plates and mugs. Today’s freelancer needs a base of operations. 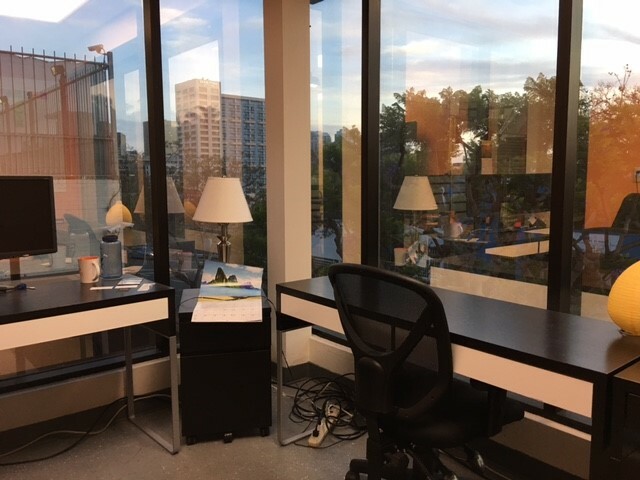 Plus, with all the benefits that come with great co-working spaces (like NEST CoWork) why would anyone go anywhere else? Freelancers need an office. Even if they never have a face-to-face meeting, independent contractors need a professional setting. Let’s begin here — productivity comes with a dedicated workspace. Focus is key in accomplishing anything. There are a million ways to fill your day as a small-business owner, but only a few tasks will generate revenue. With a standard desk and chair (in a professional setting) you are simply more likely to get work done. Everyone who works uses the phone. Even if you’re a programmer cranking out code, you have to connect with supervisors, managers, and clients. You can’t have a professional phone conversation with background noises like the bark of a dog, the clang of a café dish, or the siren of a passing police car. You also need space. A café table just isn’t big enough for your laptop, notepad, and obligatory latte. A co-working space will give you the space you need to talk on the phone, use your computer, and take notes. Sometimes, you do need to meet a prospect, client, or colleague face to face, and teetering on a café stool and shouting above the foam machine doesn’t lend itself to a professional, confidential conversation. A good co-working space will offer quiet corners and professionally appointed conference rooms that will make you look like a mega mogul and make your client feel confident about sharing the latest secrets about his new product launch she/he wants your help with. With the quality of video-chat on the rise, meetings via Skype are the most efficient way to add a “face-to-face” meeting into your workday. Holding a video meeting from home has an inherently unprofessional feel. And having a video meeting from a café is simply annoying. Thankfully, co-working spaces are adding video conferencing rooms. With a high-quality feed and enhanced sound technology, a co-working video room can be nearly as effective as a 2,000 mile trip to Dallas. Selecting the wrong kind of office can be just as bad as working from home. 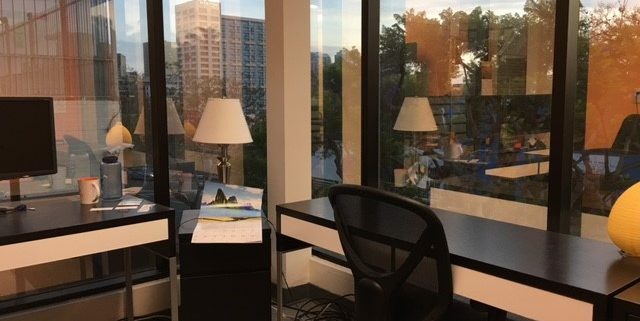 For decades, freelance workers and entrepreneurs have been able to rent “executive suites.” Although these kinds of closed-door spaces provide a professional facade, they can also be cold, tedious places to work. Often, executive suites sit in long, white hallways, and are decorated with beige walls and nondescript art. There is generally nothing warm or friendly about these spaces. The other professionals that share the floor or building may only give you a nod of acknowledgement. Co-working spaces, however, have been designed specifically to combat the dreary, single office environment. Co-working spaces are filled with natural light, comfortable couches, and engaging members. Although not all working relationships are perfect, working around others is a vital way to stay motivated. Freelance work can be very lonely. Traditional employment gave workers with a variety of personalities. Co-working spaces are inherently more engaging because of the vibe and décor. But, people still need some encouragement. So, co-working spaces will generally have social events to bring everyone out of their respective shells. These kinds of networking events are not always about drumming up business. Frequently, social gatherings are simply a way to bring some cheer to the everyday interactions people have in an office. Without the draw of a free lunch or happy hour, some co-working members would remain inside their cubicle or office. Add some beer, and everyone starts making new friends. For the freelancer, paying bills and filing taxes is a part of the job. With a dedicated co-working space, the freelancer can add some distance between home life and work life. Home is meant for time with the family. The office is a time for serious business. Of course, everyone has a bit of cross over between work life and family life. So, when the freelancer needs to bring the kids into the office over the weekend, a good co-working space will easily host the kids. Pencils, paper, and cable TV are prevalent in the modern co-working space; and all make for great distractions while Mom or Dad finish up some business. The demand for freelance workers will continue to rise. The emerging workforce (the Millennials) aren’t interested in the traditional job. Companies are seeing that contractors, remote workers, and short-term employees are effective ways to meet business needs without employment liabilities. Co-working spaces have emerged as the best forum to connect both sides of that emerging trend.